Calculating the length of wires and the surface of ventilation ducts. Languages: The Unicode based user interface supports 22 languages, i.e. English, Bulgarian, Chinese Simplified, Croatian, Czech, Danish, Dutch, Finnish, French, German, Greek, Hungarian, Italian, Polish, Portuguese, Romanian, Russian, Serbian, Slovenian, Spanish, Swedish and Turkish. 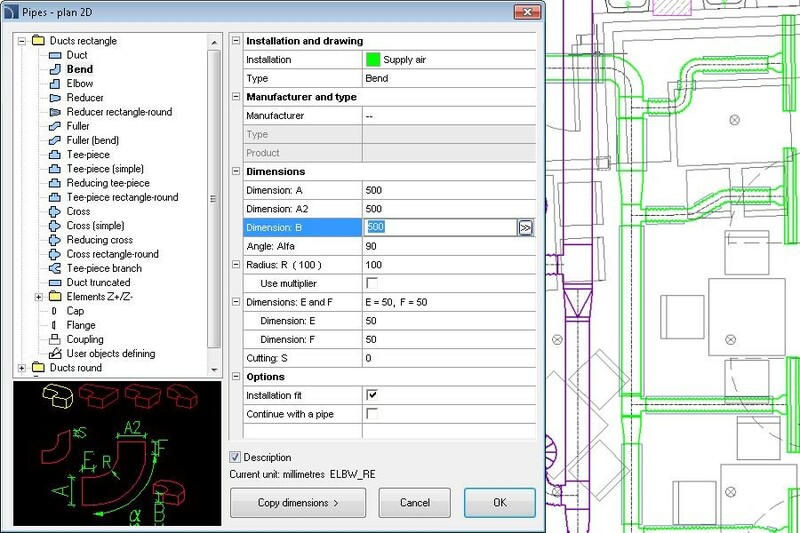 Ease of use CADprofi is a professional parametric CAD application that vastly accelerates design work. The application’s convenient, user-friendly interface makes it possible to fully employ its features immediately, without the need of extensive software training. CADprofi is highly popular among architects and engineers. Less experienced users, who only occasionally work with CAD drawings, also highly praise the accessibility and functionality of our software. Comprehensive Functionality Architects, engineers and designers use CADprofi to create projects of building construction, piping, plumbing, ventilation, electricity and other industry technology installations as well as the mechanical and structural constructions. The application package is composed of the following modules: - CADprofi Mechanical - CADprofi Architectural - CADprofi HVAC & Piping - CADprofi Electrical All of the application modules are mutually compatible, and each can be installed separately or in combination with any number of the others. 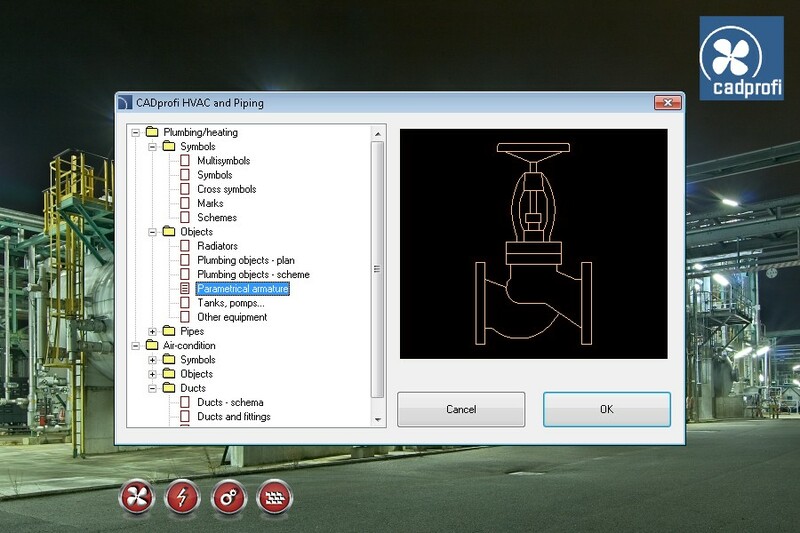 CADprofi has been developed mainly as a tool used in 2D and isometric drawings. The continuously updated library of objects by many industry manufacturers also greatly facilitates 3D design. 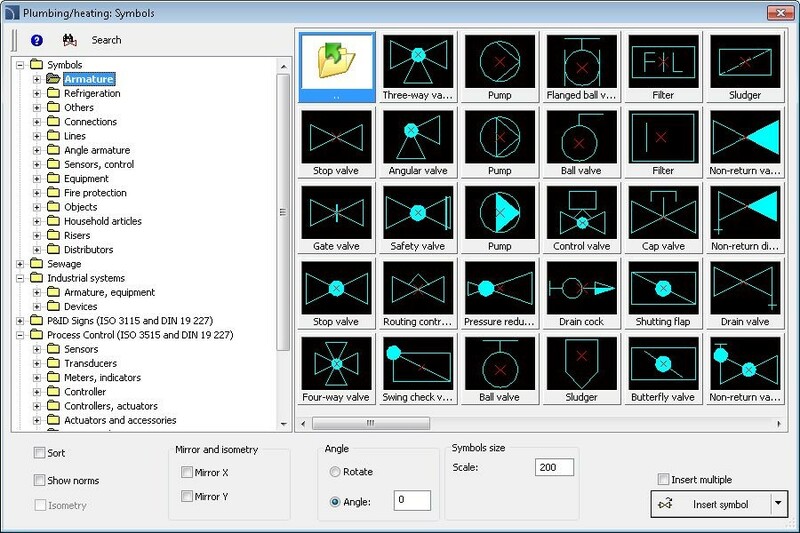 The software is equipped with a rich array of functions supporting the user at every level of design work: from autonumbering and description system to the bill-of-materials generation and exporting data into many file formats for further editing (including doc, xls, xml and many others). Maximum Compatibility Tens of thousands of users from all over the world have already chosen the CADprofi package. This is the reason, why we always take care to preserve full compatibility with other CAD applications in every new version of our software. CADprofi will automatically configure itself to be optimally compatible with any selected software environment (Bricscad, AutoCAD, ZWCAD, progeCAD and many more). 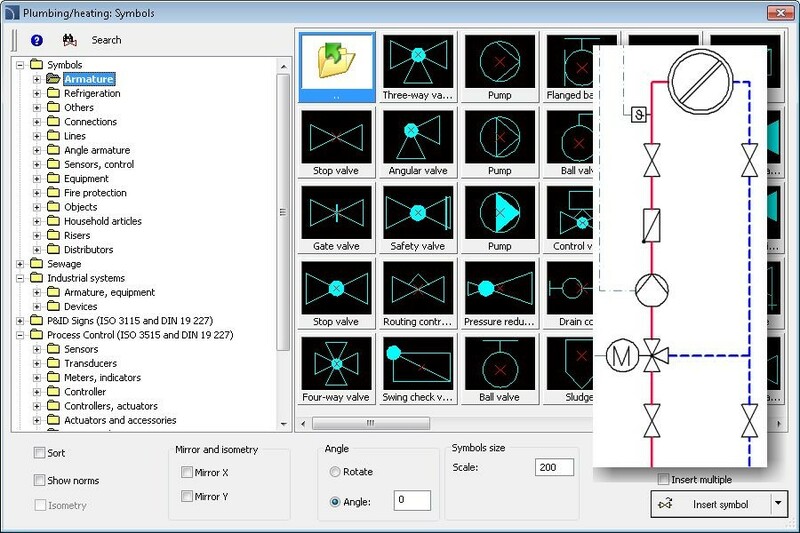 Drawings created in CADprofi are fully compatible with DWG and DXF formats and can be edited in any CAD application without the need to run and use our software. We develop continuous the CADprofi suite. Versions with new features appearing several times a year, providing the users with upgraded content and functionality. Our online updates enable every user to immediately access the latest in our software technology.